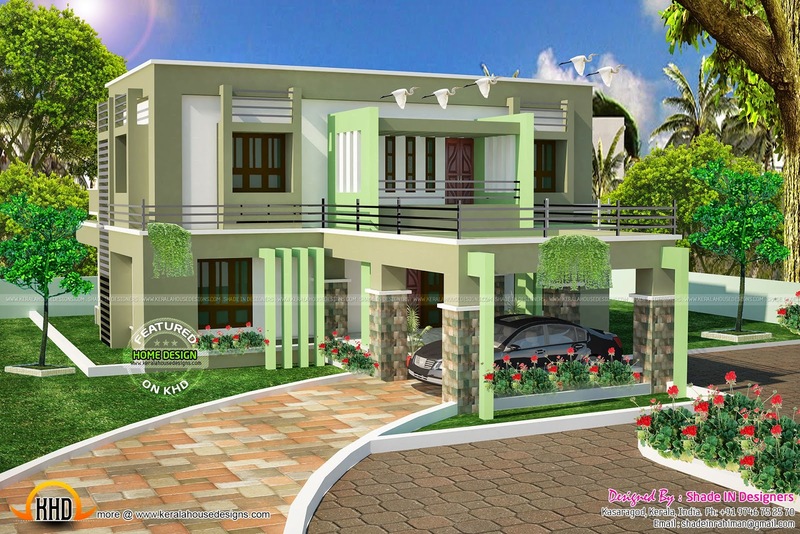 2919 Square Feet (271 Square Meter) (324 Square Yards) 5 bedroom very flat roof house exterior design. Designed by Shade IN Designers, Kasaragod, Kerala. Ground floor : 1855 sq.ft. First floor : 1064 sq.ft. Total Area : 2919 sq.ft.